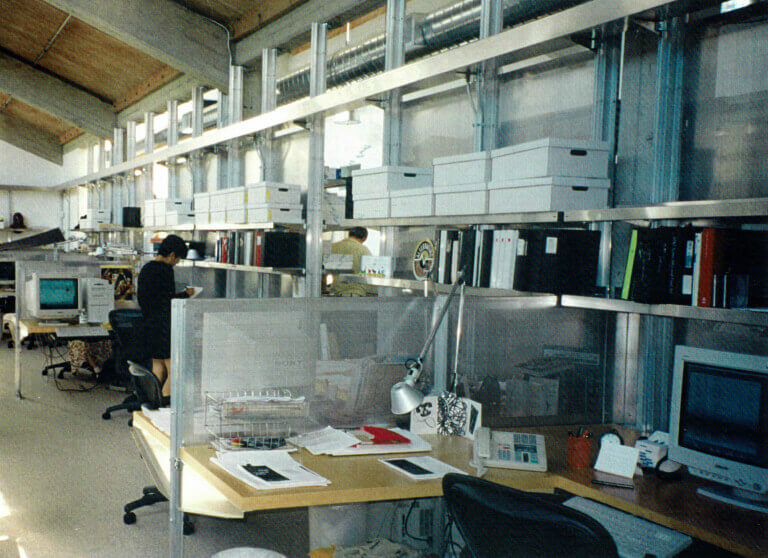 Workstation Shelving ⋆ Shelving Systems by E-Z Shelving Systems, Inc. If you like the look of the workstation shelving in this gallery it’s a simple matter to create a custom design for your own office. Call us at (800) 353-1331. 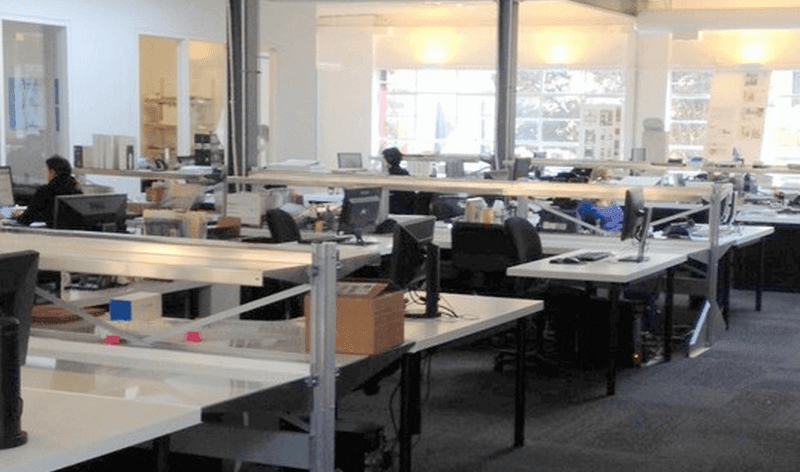 One of our senior product specialists will assist you with all the design elements, including configuration, anchoring, loading, and accessorizing. Or go here to request a quote for an easy-to-configure wall-mounted version online. 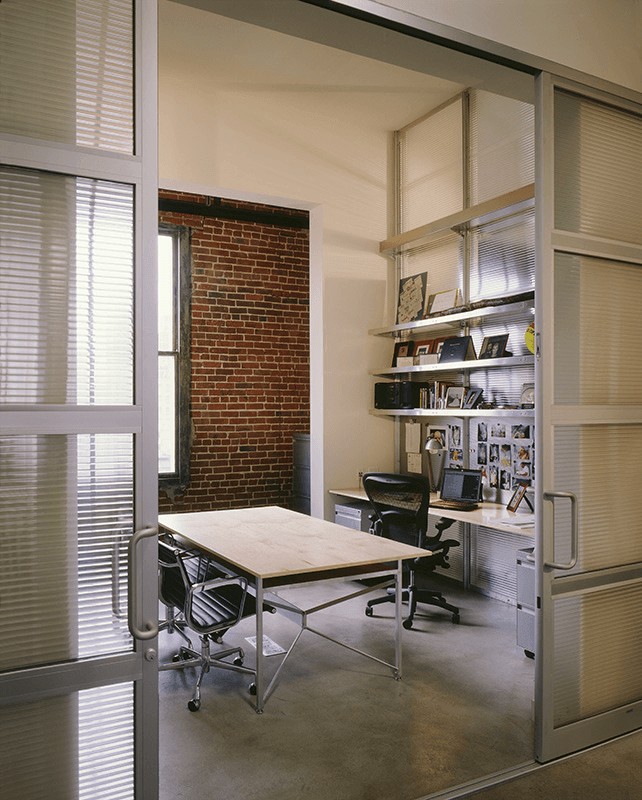 E-Z’s uprights are attached to the partition in this warehouse conversion. E-Z’s freestanding back-to-back uprights are anchored to a concrete beam, creating a partition with workstations on both sides. The work surfaces in this office are comprised of 28″ shelves by E-Z, and tables by others. 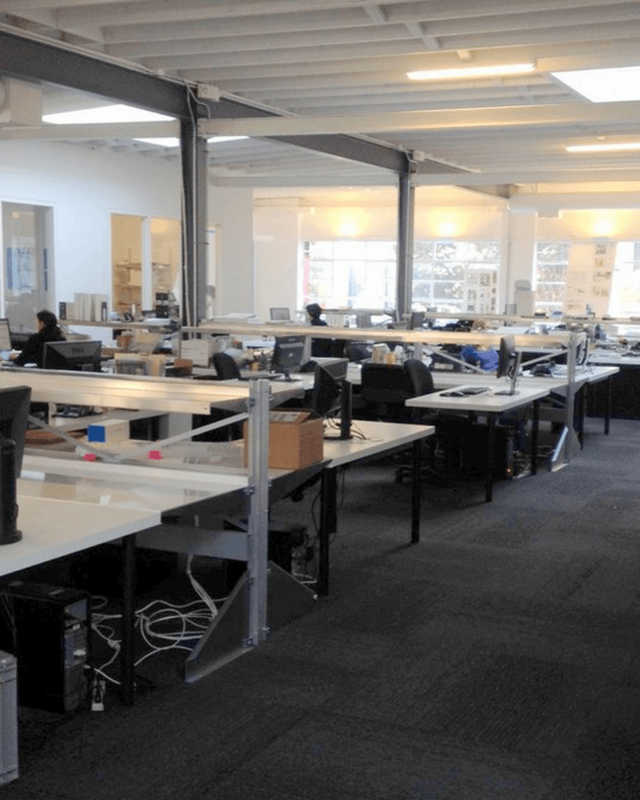 Visible in this photo are E-Z freestanding back-to-back uprights with cross braces, as well as 28″ powder-coated shelves as desktops. 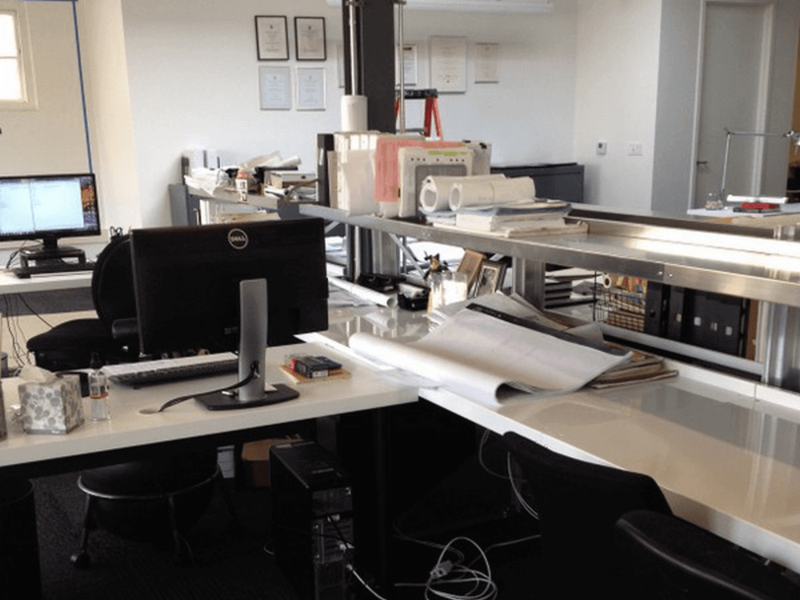 Using E-Z’s heavy-duty brackets for supports allows desktop placement at the perfect height for the user. 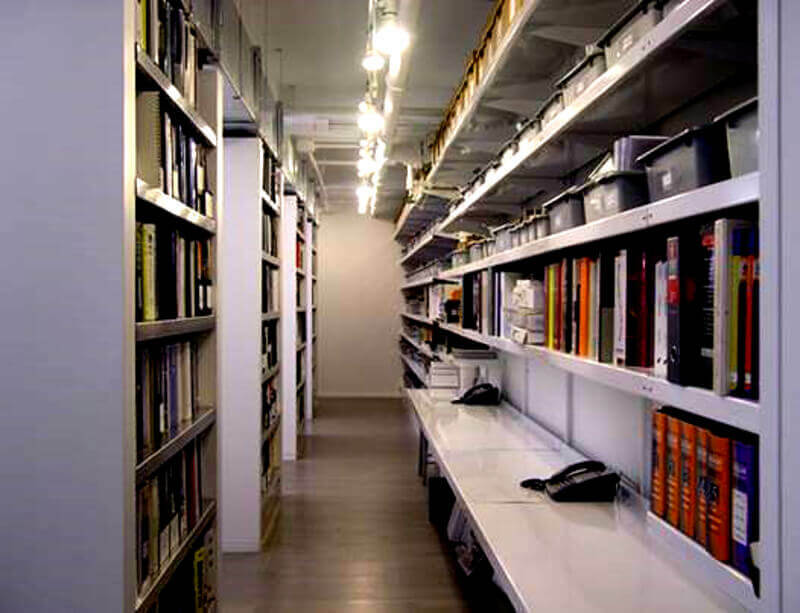 It’s simple to add a work surface to any E-Z Shelving storage configuration. 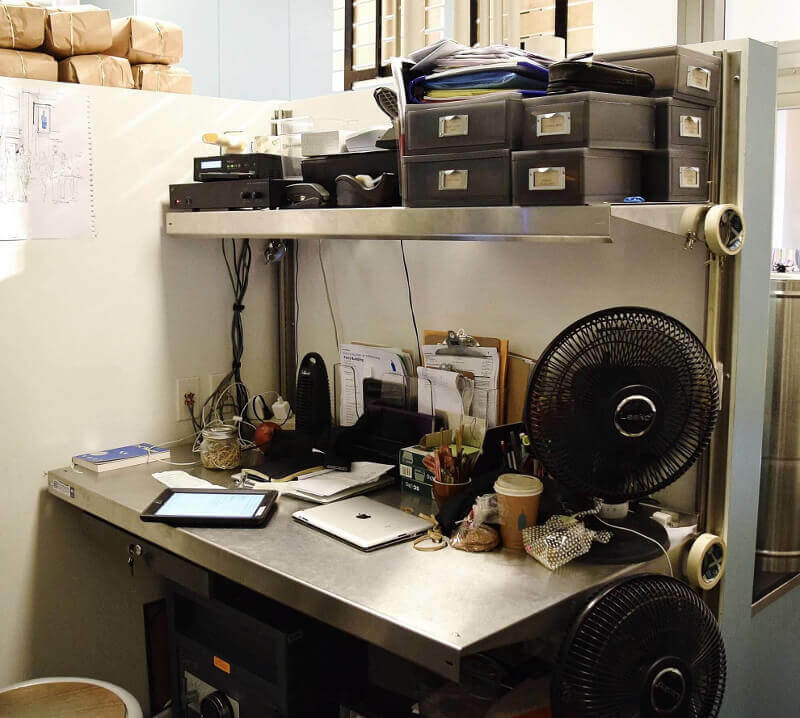 This partion wall supports E-Z product display/storage shelving on one side, and this nook workstation on the other.